After roughly a 4 year break, I have finally resumed my old hobby of beekeeping. Pictured to the left is a closeup of a hive entrance. It currently seems fairly calm, yet once summer arrives and flowers are in full bloom the hive entrance will seem complete chaos. The jar you see in the picture is a feeder. When you purchase a package of bees they do not have a hive full of honey, so you need to feed them until enough flowers start to blossom. Once the bees can provide themselves with enough pollen and nectar the feeder will be removed. The bees will be left with enough honey at the end of the season to survive through the winter, however I will also provide them with ‘bee food’ to ensure they have enough. Bees can be fairly costly and it’s better for both the bees and beekeeper when the hive survives year after year. 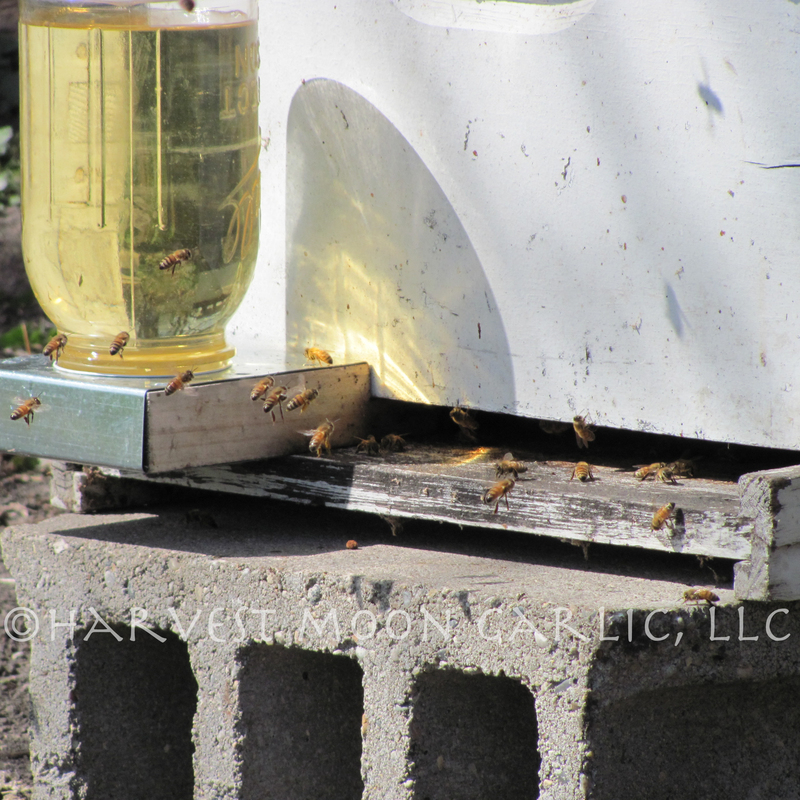 So please enjoy honey and know the bees are well cared for by many hard working beekeepers!